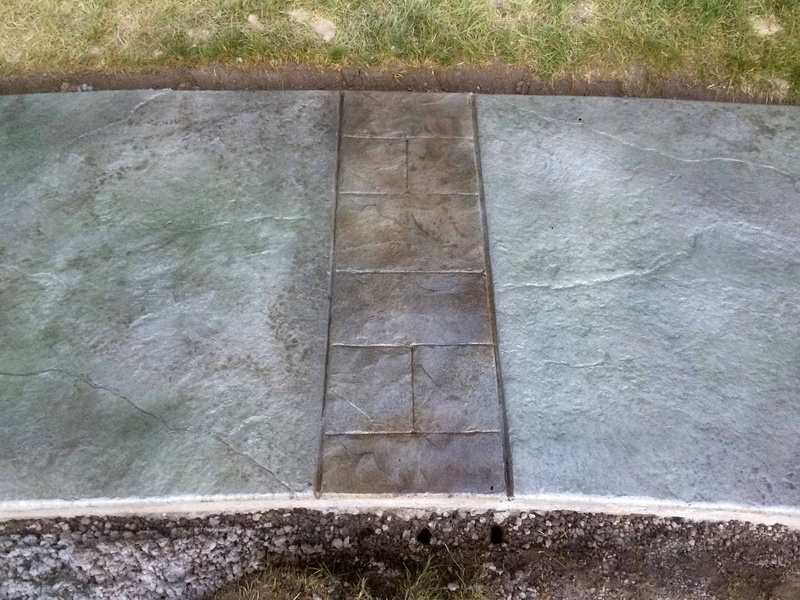 Upper terrace bordered in ashlar slate with a walkway connecting to a lower terrace. 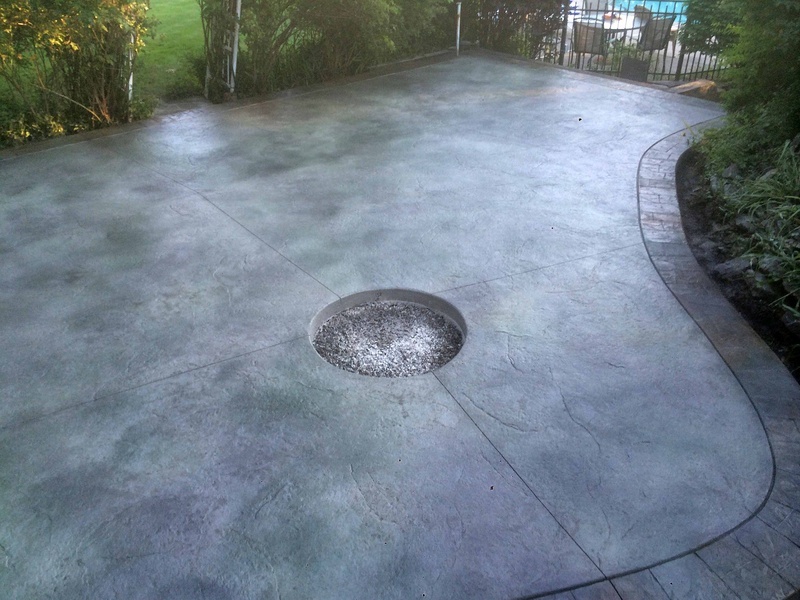 This terrace is multi colored using R. Broad Concrete's unique coloring system replacing the powder release antiquing agent. 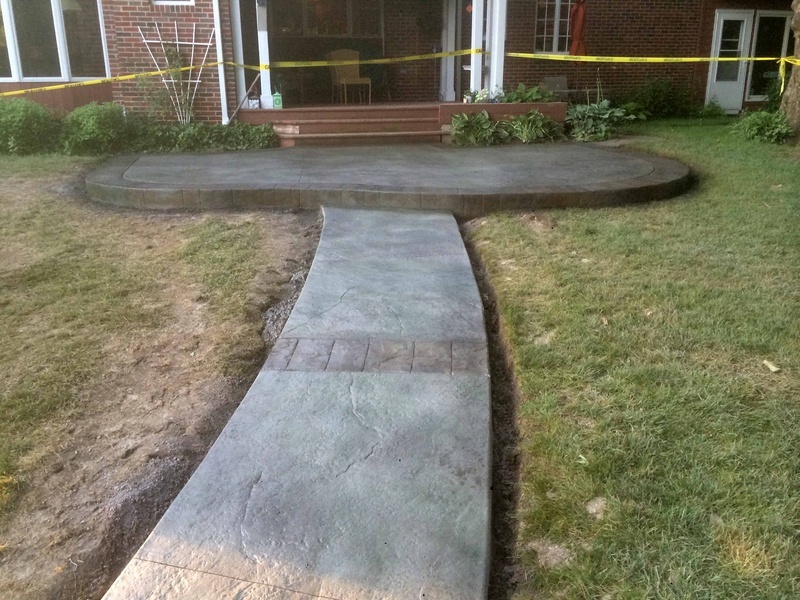 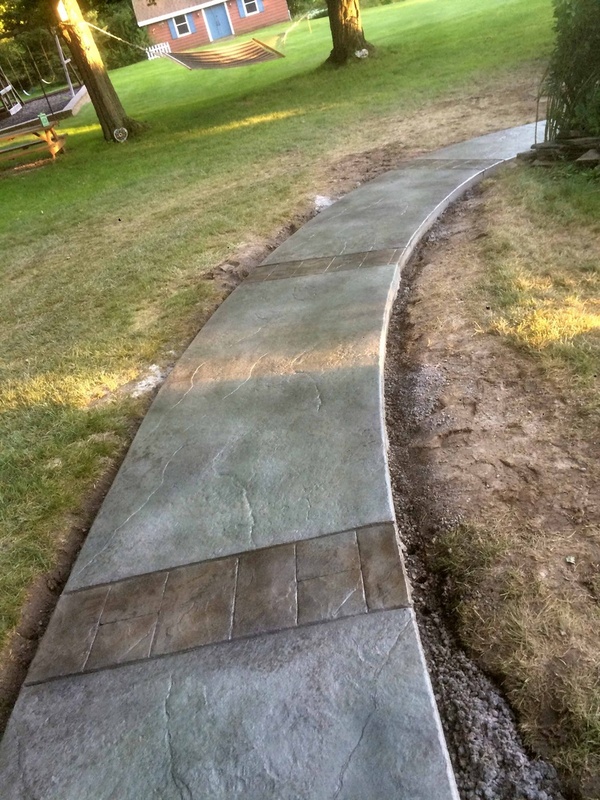 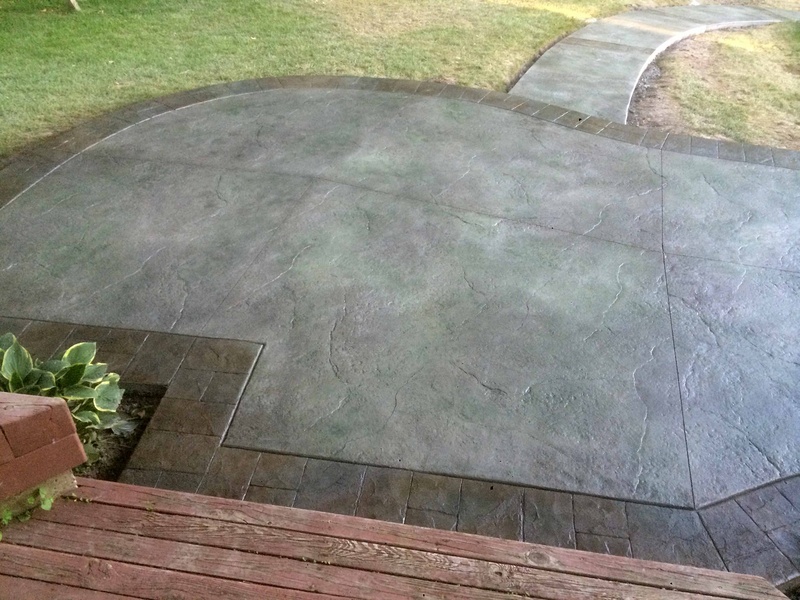 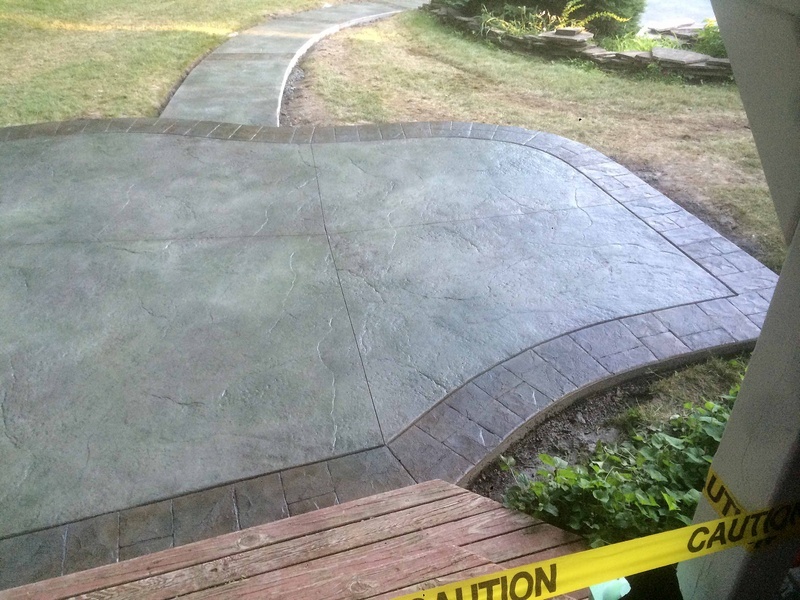 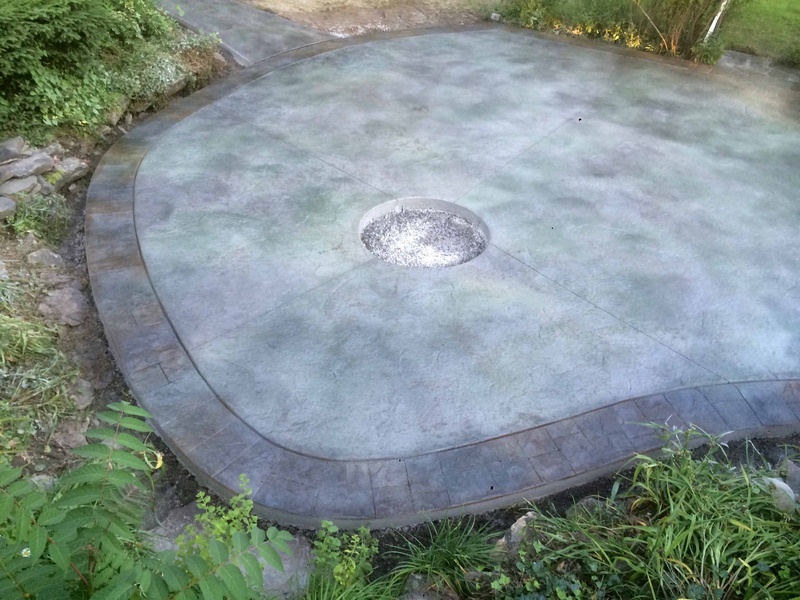 The advantages are a "one-of-a-kind", richer looking patio.